​​New Chairman Bob Gordon was born in Scarborough, but moved around several times with his parents before they decided that ‘a life at sea may keep me out of trouble. I was sent to HMS Conway in Anglesey – what a shock, but the Conway set me up for life. I became the Chief Cadet Captain and then went to sea as a commissioned midshipman RNR with Blue Funnel Line, Alfred Holt & Co, Liverpool. I obtained my ‘Mates ticket’ then moved to P&O 3 years later’. 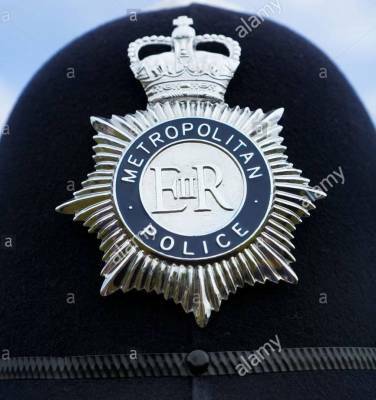 ​​‘‘Forced back onshore through eyesight problems, I joined the Metropolitan Police, and had spells in and out of uniform ultimately receiving a ‘Commissioner’s Commendation’. I became a member of Deptford Table in South East London. As Programme Secretary, I managed to persuade John Ridgeway and Chay Blyth to come and speak to us about their experiences, just after they had rowed across the Atlantic’. ​​found my forte, and set up my own brokerage in Bromley, and later in the City of London. I invested in a mini computer and moved into the developing world of IT’. ‘Still retaining the brokerage I set up a company with a friend selling software packages to the insurance industry with the endorsement of IBM. The company had grown successfully to 250 employees when we sold out to a major insurance company. I then developed a presentation on ‘motivation and computerisation in insurance’. ​​‘Life was at a peak, a Rolls Royce, a chauffeur, and travel to many exotic places around the world. Then the recession hit! 15% interest rates and property values halving overnight. Without a secure enough base, I went bankrupt. Back to the bottom! Now I had to tread very carefully. Undeterred, I started a new business in ‘book-keeping for the self-employed’. ‘I’ve made no mention of my matrimonial status so far, but after a couple of failed marriages, (who can put up with a workaholic? ), I decided to learn from my mistakes and to seek true love on the Internet. I met Sylvi, a Norwegian lady and after 7 years, we married’. ​​In a revealing article in the Euro Weekly News, Bob recounts how he “found a stray cat in the road covered in blood and took it to the vet expecting it to be put down. About to return to the UK, the vet advised me that ‘my’ cat was fully recovered, so I took it back, put it in a room in the underbuild and persuaded neighbours to go in and feed it. Returning to Spain six week later, Sylvi and I found a very fit, totally socialised cat which we called Fumph, and we took him back to the UK. He lived for another 12 years”. They both enjoy travelling and were lucky enough to do a round the world trip in 1997. They now move between Spain, Norway and occasionally the UK. 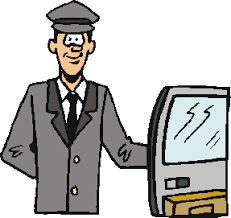 Although officially retired, Bob still has a business importing Norwegian convector heaters into the UK and Spain, making full use of the facilities offered through the Internet. ​​Supporting him at the 2016 AGM was VC Keith Hyde, with Bob Oxley and Jim Thomas as Treasurer and Secretary respectively. During the year the Club welcomed a number of new members, including Past National President of 41 Clubs Belgium, Roy van Handenhove; Bob & Ann Fell; Paul & Sue Ridge; Mike & Sue Garfield and David & Pauline Whelpton. With the help of the members of Council during his absences, we had a full social programme which included lunch at Restaurants El Portet & Magia, Moraira; El Secreto del Tomarte, Javea and, following the Billy Boule challenge, the Cumbre. Ladies night was held at Chez Angel, Javea and Charter night at La Cocina, Javea. Benitachell. 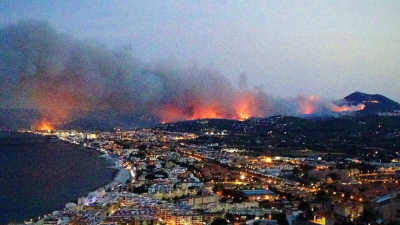 More than 300 fire-fighters were eventually deployed to tackle the fire which spread rapidly as strong winds fanned the flames. 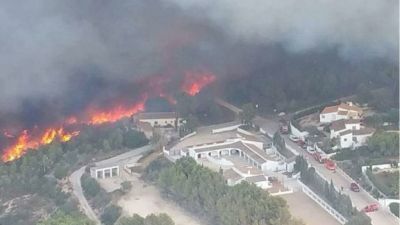 The BBC reported that evacuation tents ‘were set up in schools in Javea, and a variety of aircraft with large buckets suspended beneath them were literally swooping down to the sea and then flying inland at strange angles to drop water to quell the flames’. Past Chairman Michael Beaumont and wife Joanne, who were prevented from returning home following a flight from the UK, were shocked when they saw how close their home had come to being destroyed. 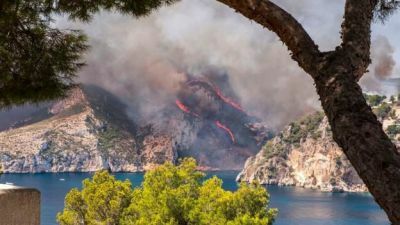 Although the fire had burnt out around where they live, there were fears that it could start up again if the wind came up in the evening and the ‘planes were unable to fly and drop water. Less than a week later, the 19th stage of La Vuelta, (a 3 week ‘Tour de Espana’ international cycling race), took place for the second year running through Javea and the Cumbre del Sol, with Team Sky rider Chris Froome winning the stage and eventually the whole race. This is the twentieth chapter on the history and development of the Costa Blanca 41 Club. Now that the Newsletters produced by Ted Homewood have ceased, it is being compiled from news articles, information provided by club members and pen portraits provided by the incoming Club Chairmen. The text is written by Bob Oxley, except that in italics which is directly quoted from articles and documents available at the time. The web posting and additional illustration images are provided by Gordon Macnab.